Buy Now/Pay Now, will guarantee your order will be available to ship. All orders are First Come First Service basis. While Supplies Last. 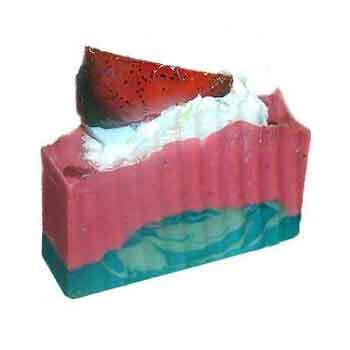 Our Romantic Watermelon Soap is a handmade soap with the finest of luxury ingredients. 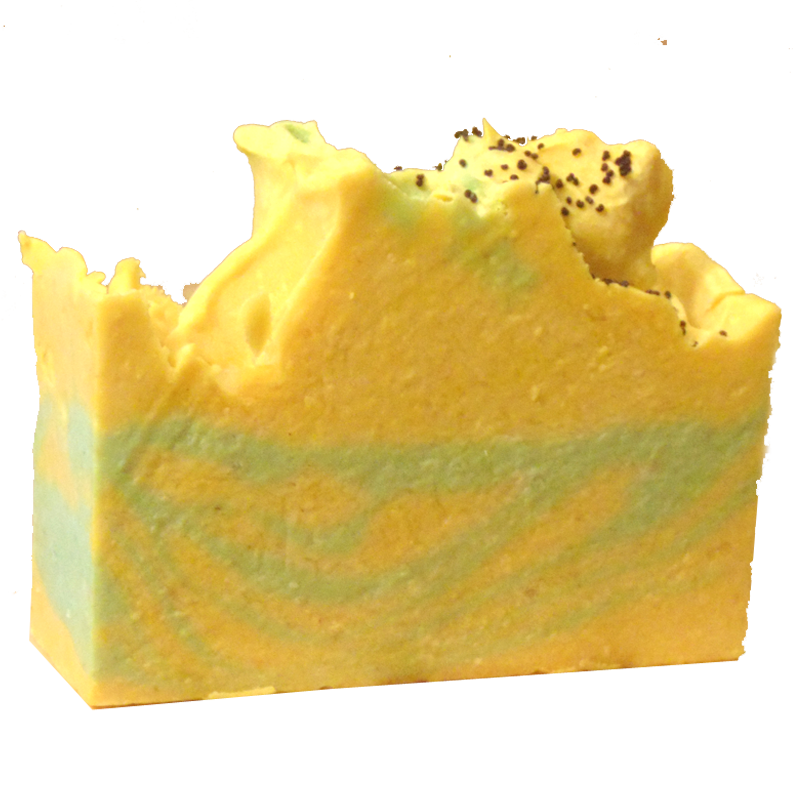 Our Natural Artisan Bath Soap is made from Extra Virgin Olive Oil, Coconut Oil and Shea Butter. These moisturizing benefits are legendary and it is ideal for dry or sensitive skin. 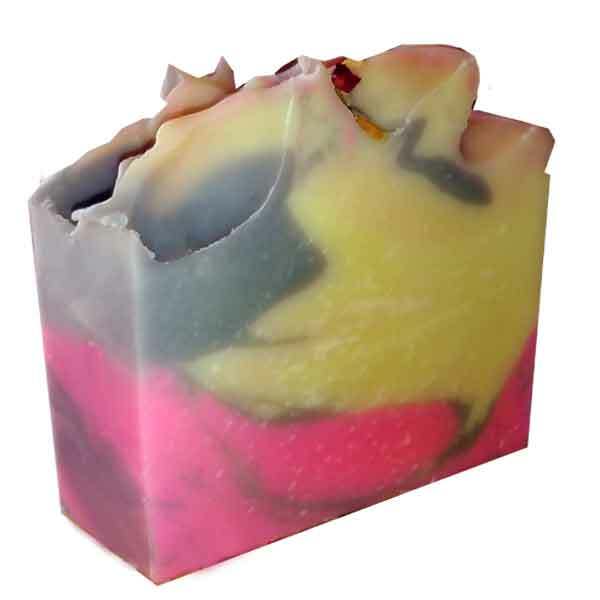 Our luxury handmade soap has sustainable organic oils and sprinkled poppy seeds through-out the soap. Sorry, this soap is not fragrance free. Our soap recipes are gentle, and are carefully formulated and tested by me, friends and family. However, due to the high fragrance content we do not recommend using the soaps on children under 5 years old. When you place your order with us. 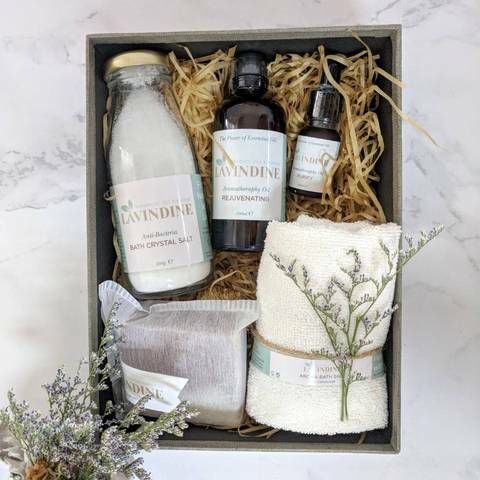 We will send you a handmade bar of bath soap. The bath soaps come in all sizes, and ready to ship out. So we do not know, which size you will receive. Olea Europaea (Olive), Butyrospermum Parkii (Shea Butter), Cocos Nucifera (Coconut), Elaeis Guineensis (Palm), Theobroma Cacao (Cocoa) Seed Butter, Tocopheryl Acetate (Vitamin E), Oryza Sativa (Rice) Bran, Glycine Soja (Soybean), Goats Milk, Sodium Lactate, Sodium Hydroxide, Titanium Dixode, Fragrance Blends, Plant-Based Colorants. Please do not use if you have broken, cracked or irritated skin, or allergic conditions. As required by the FDA, we do not make any claims regarding the cosmetic or health related properties of our products.